Join us on Facebook for cute photos and discussions. Super healthy swedish pet food, a variety of pet food for every health condition including hypoallergenic and digestion. Click for more details. Welcome to Pet Information North East (P.I.N.E.) 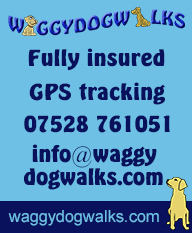 your one stop shop for all your pet care needs, with listings from Animal Care to Vets all in your local area of Aberdeen and Aberdeenshire. Also check out our News and Events section for tips and upcoming Pet Events. Click here to see training videos or dogs just having fun.